The front page of the actual petition can be seen here. 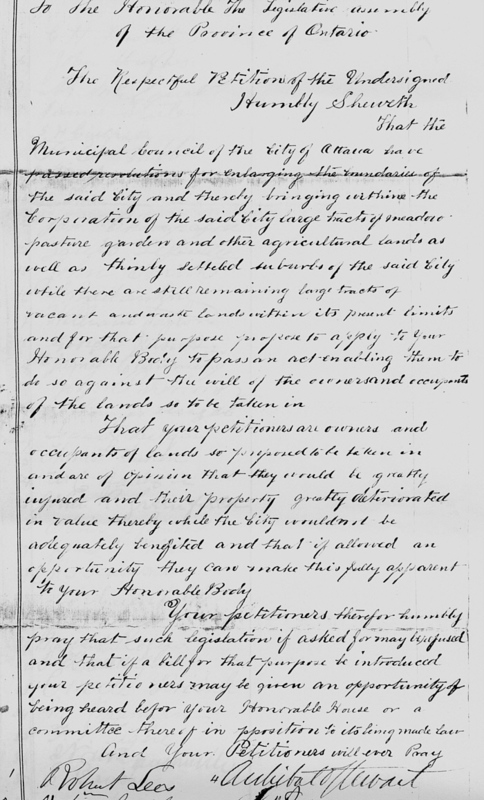 Note that the copyright of the document is held by the Archives of Ontario, Reference Code: RG 49-38-2, 1882-1883, Petition #175. The actual petition signed by the 96 residents can be seen here. Only the main page is shown but it is interesting to note the actual signatures of Robert Lees and Archibald Stewart at the bottom of the page.